Don’t need the address, just keep sending them. 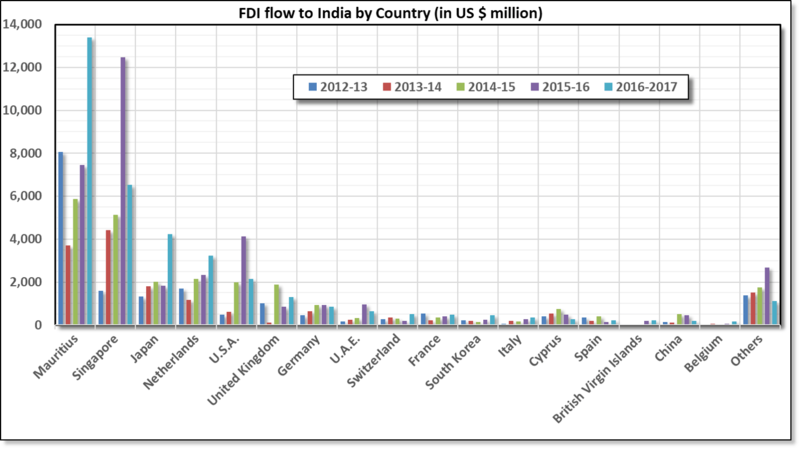 Foreign direct investment to India by countries in last 5 years. Some of the biggest names in Indian business today (Flipkart, Snapdeal, Amazon, Olacabs, Uber) are being funded by foreign money. And one would think of US and China, as the biggest economies with big tech and venture funds, to invest this money. However, the Reserve Bank of India’s annual report says they are barely in the picture, well behind Japan & Netherlands, when it comes to investing in India. The leading spots go to Mauritius and Singapore. Mauritius has been the top investor, certainly not because of strong ethnic ties (two-third of Mauritius’s 1.26 million inhabitants are of Indian descent). In fact, the Indian diaspora in Singapore is much smaller. The main reason is the financial maneuvering, and how companies are listed in different countries. The fact that, in 2016-17, Mauritius invested $14 billion & Singapore over $6 billion is due to the big financiers of Flipkart, Snapdeal, Olacabs being listed in Mauritius and Singapore. That makes sense due to Mauritius’s business friendly economy & global image as tax-haven. Just as an example, Mauritius has an effective tax rate of 3% for global companies. US and China are such small players in Indian FDI suggests big hedge funds and money managers from Wall Street are not showing much faith in Indian economy. With such low returns in US and Europe, the hedge fund managers are going to great lengths to find higher yields, as seen by the recent overselling of Iraqi bonds & Argentina’s 100-years bonds (despite five previous defaults). That’s a blow to Prime Minister Modi’s big ambition of bringing global tech companies to set shops in India. It won’t be surprise to know, only if more people read about their own Reserve Bank’s report instead of being busy with cow politics.